Click on the headings below for descriptions and photos of facilities at the Lizard Lab. 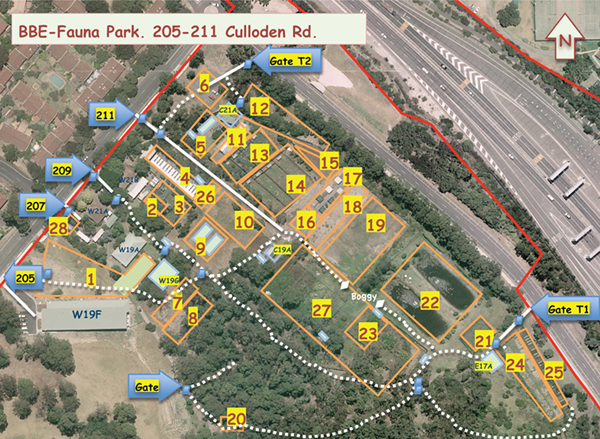 Here is a PDF showing more detailed maps of our facilities. 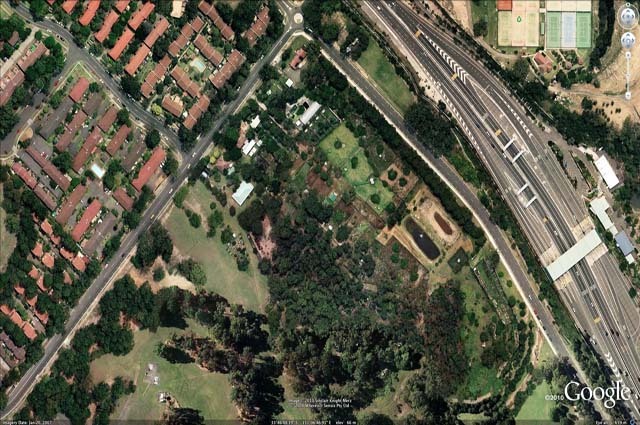 Here is an historic, 2007 image of the Fauna Park courtesy of Google Earth. This is a dated aerial photo showing the layout of all buildings and animal enclosures in Brain, Behaviour and Evolution (a discipline within the Department of Biological Sciences). Our offices and lab are located in W19A. 10 refers to our netted lizard tubs; 19 refers to our open-air lizard enclosures; 21 refers to our netted observation enclosure (complete with viewing tower); 25 refers to our netted metal enclosures; and, our climate-controlled lizard room is the shed (green roof) adjacent to W21A.